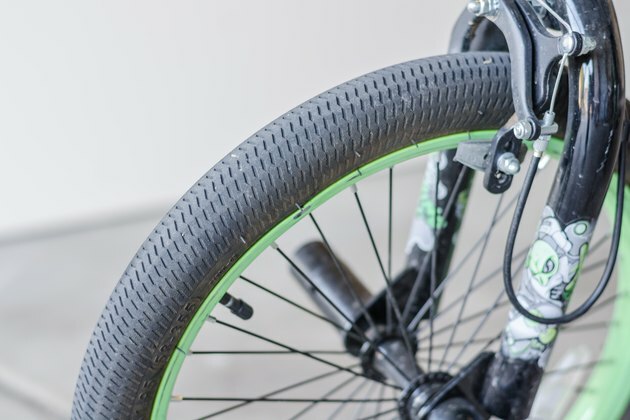 Whether you ride your bike for sport or exercise, you can't get going unless each tire contains an integral piece of equipment -- an inner tube. This is a separate tube inside each tire that inflates with air. The width and diameter of your wheel will determine what size inner tube you need. 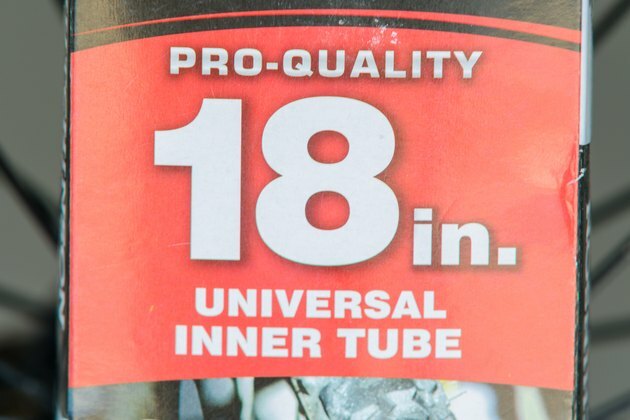 When your inner tube requires replacement, it's easy to figure out what size to get. Place your bike in a position where the wheel can move freely. Inspect the side of the tire that needs a replacement inner tube. The tire size is printed on the side wall of the tire. For example, 26 x 1.87 indicates that the wheel is 26 inches in diameter and 1.87 inches in width. If your tires are dirty or worn, it may be difficult to locate the print. 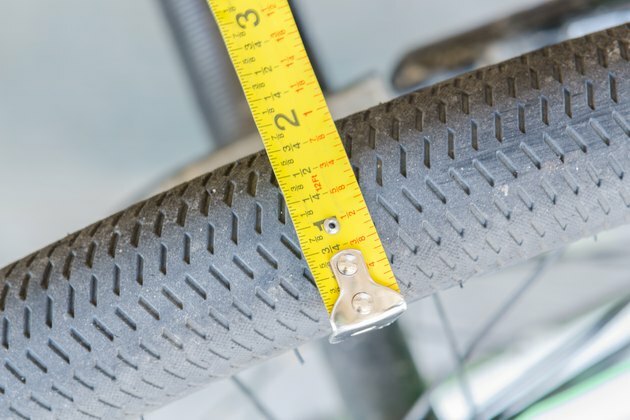 Use measuring tape to determine the diameter and width of the wheel if you are unable to locate the tire dimensions. Visit your local bike shop to find an inner tube that is in the same range in dimension as your tire. The inner tube does not need to be exact. Inner tubes typically come in ranges, meaning an inner tube can fit a range of tire sizes. Ask a shop assistant to help you find the right size. Always carry an inner tube repair kit so that you won't be left stranded if an inner tube is punctured. 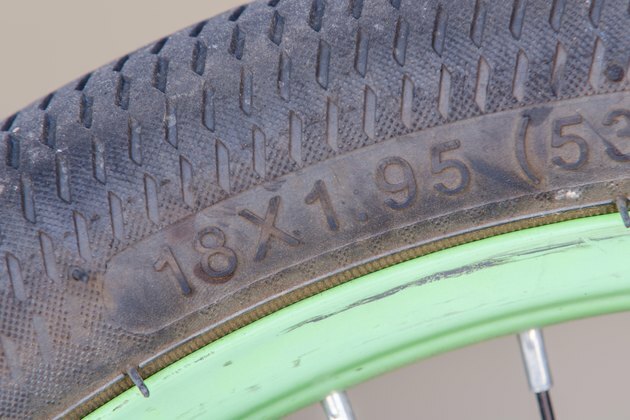 If you have an old inner tube that came out of your bike, check it to see if dimensions are stamped on it.